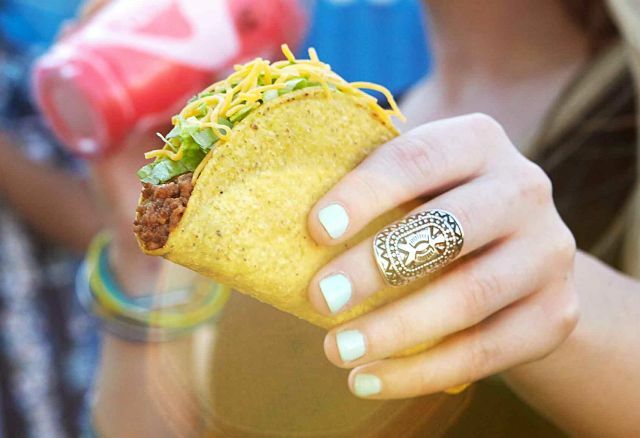 It's probably not a surprise that the best-selling item at Taco Bell in 2016 was the Crunchy Taco but the other four of the five most popular items on the Taco Bell menu might surprise you. 3. Bean Burrito - The only burrito on the list is also the cheapest. 5. Nachos - Good old chips and cheese. You might note that it's some of the cheapest items on the menu that are the most popular but that makes sense since you can buy two or so tacos for every one Crunchwrap Supreme for the same money.